As the largest free tax preparation site in San Francisco, Mission Promise Neighborhood partner MEDA now does over 4,000 returns a year – with millions returned to the low-income community. As clients come to MEDA’s Plaza Adelante to get their taxes done, they are availed of the scope of the nonprofit’s free asset-building services. MEDA can help with housing rentals and purchases. There’s small-business development, including a community loan fund. Those needing a jobcan get a polished resume, training and connections to opportunities. There’s also financial capability, the thread that ties together this service-integration model. There are also digital literacy classes offered, starting with a basic class where clients learn about internet security and setting up an email. This is certainly surprising, being that the Mission is action-central for all things tech. While it would be easy to conjecture that the Mission is 100 percent connected, too many Mission Promise Neighborhood families use a smartphone solely to make calls. The data shows the need: a 2014 Mission Promise Neighborhood survey revealed that 46 percent of area residents did not have a computing device and high-speed internet in their home. This inequity needs to be addressed, as a connection at home is vital for doing everything from looking for a job to kids studying for tests. The good news is that this week starts a new cohort of computer trainees at MEDA’s Digital Opportunity Center. There are two levels – Basic and Intermediate – with placement based on skill level, as determined by Technology Training Coordinator Leo Sosa. Taking the helm to teach both groups is Five Keys Charter School’s Ivan Hurtado, who has been a familiar face around MEDA’s Plaza Adelante the last few years. (Five Keys maintains a presence in MEDA’s Digital Opportunity Center, with the organization’s Marlon Altan offering GED and ESL classes). Hurtado teaches these eight-week classes in Spanish, helping his students understand computer terms, which do not always translate well. As Mission Promise Neighborhood clients explore the power of computers, Hurtado helps them understand how the digital world is a way to better their families’ lives. Many clients are immigrants, so they need to understand that tech is for everyone. For anyone looking to better their skills, there is an open lab on Mondays and Fridays for those without access to a home computer. As class participants typed away on their keyboards on their first day, it was clear that their lives were in the process of being changed. If you are a Mission Promise Neighborhood family interested in free computer training, please contact MEDA’s Leo Sosa at (415) 282-3334 ext. 146; tech@medasf.org. Sometimes you meet someone and immediately realize that your mission and core values are one in the same. That serendipitously occurred last summer between Mission Bit CEO Stevon Cook and MEDA Technology Training Coordinator Leo Sosa. MEDA is the lead agency of the Mission Promise Neighborhood. Sosa had been invited to speak about MEDA’s free Mission Techies program to Mission Bit’s summer 2015 cohort. The venue was the Valencia Street campus of City College of San Francisco. When Sosa walked in the room, he discovered 20 youth from different backgrounds — but there were no Latinos. After the session, Sosa shared with Cook the story of MEDA’s Mission Techies, putting Latinos from underresourced communities on the path to tech careers. This is an important part of students being supported on a cradle-to-college-to-career continuum, with Mission Techies being taught IT skills while simultaneously being encouraged to continue their higher education. Cook then explained how Mission Bit focuses on teaching coding to high school seniors, running “camps” on that topic right in the schools. That’s when the brainstorming began. They knew there needed to be crossover for their programs, as both share the goal to close the diversity gap in tech. While at times this seems like a Herculean task, Sosa and Cook’s passion for their respective work provides them the impetus to push the work forward. The result? Sosa currently shepherds some of the Mission Techie Latinos into the Mission Bit coding program, and the Mission Techies curriculum now incorporates elements of Mission Bit. The initial joint project was for the fall 2015 cohort of Mission Techies to refurbish 10 MacBook Pros for the Mission Bit program. That number has now grown exponentially — the Techies current winter 2016 cohort is in the process of refurbishing more than 150 computers, as Mission Bit received a large donation of laptops from tech company Symantec. Mission Bit and MEDA’s Mission Techies have each been making a difference in the lives of young people in the community. Together, the synergy of these organizations’ collaboration will make that impact all the greater in San Francisco’s Mission Promise Neighborhood. Interested in the Hack Reactor coding camp starting Feb. 8 at MEDA, a Mission Promise Neighborhood parnter? Call MEDA’s Leo Sosa at (415) 282-3334 ext. 105; tech@medasf.org. Whether you call it a resume or a CV, most jobseekers have learned over time the power of having a robust LinkedIn profile to supplement, or even supplant, that piece of paper routinely sent to a job recruiter or handed in at the start of an interview. By robust, that means having plenty of connections, glowing recommendations and direct links to showcase your experience in your field of choice. With 40 million students and recent grads on LinkedIn, this is definitely the place to be seen, even for those just entering the job market. With so many great bells and whistles added over time, it is important to optimize one’s LinkedIn profile. Luckily for the students of John O’Connell High School, a score of LinkedIn volunteers dropped by last week to give insider tips to foster these Mission Promise Neighborhood (MPN) young adults being ready for success after graduation, whether that means an immediate entry into the labor pool or heading off to college. The volunteers are part of LinkedIn for Good, LinkedIn’s social impact team whose mission is to “connect underserved communities to the networks, skill, and information they need to succeed, ultimately creating economic opportunity for every member of the global workforce.” This goal was definitely reached at the event. Create Professional Identity with a rock star LinkedIn profile. Apply for Opportunity to find skills-related employment via LinkedIn. Build a Network to reach out to professionals the students aspire to be like. To meet the niche of students’ career paths, groups were broken into: culinary arts and entrepreneurs; building and construction; and Health and Behavioral Sciences. Workshop leaders peppered the conversation with questions aimed at getting the students to determine their career aspirations. For example, “Who is your role model?” Determining your interests is the first step to creating a LinkedIn profile that makes sense. 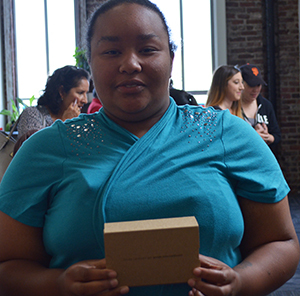 “I need to understand technology so that I can help my child succeed in school,” explained Mission resident Miriam, who came with her eight-year-old daughter to a free Mission Promise Neighborhood technology event at MEDA’s Plaza Adelante today (more pictures). Miriam was just one of many Mission residents who dropped by to take digital literacy classes taught by a number of volunteers from the tech world. This “Get Connected! event,” presented by Accelerate with Google, was the fifth in the series to date and was possible only with the additional support of Platinum Sponsor ECHO Technology Solutions; Gold Sponsor Kapor Center for Social Impact; Silver Sponsor Comcast; and Community Sponsor Zoomforth. The need to bridge the digital divide is clear: a Mission Promise Neighborhood School Climate Survey, conducted last year, indicated that just 54 percent of residents had a computer at home. This stands in juxtaposition to being in the Mission, the neighborhood of choice for many of the innovators creating the next greatest app or messengering device, thereby revolutionizing global interaction. Classes today spanned all age ranges, with fun, physical activities for kids to Android app building. Additionally, there were non-tech offerings running the gamut from housing resources and getting your GED to signing up for a WiFi point of access. A packed room also was offered the invaluable counsel of a Latino Career Panel, who shared their intriguing stories of how they wound up working in the world of tech. Panelists included: Juany Torres of Google; Martin Thormann of ECHO Technology Solutions; Lawrence Coburn of DoubleDutch; Daisy Galvan of Facebook; and Roberto Lopez from Apple. The takeaway was that there are opportunities for Latinos in the tech industry, especially with the Hispanic population growing the fastest of any minority in the U.S., translating into a market the tech industry will want as customers. As an added benefit, every person who attended five workshops today was entered into raffles of over 20 tablets and prizes, courtesy of Google. The winners’ faces beamed with joy, as they now had a computing device to better their family’s lives. Eric Mendez was ready to start his life anew. The young man came back to San Francisco after having paid his dues by being incarcerated for several years. One of the first things Eric noticed was that his 5-year-old son was not doing well academically. This compelled Eric to immediately pursue full custody of the boy, with that goal being achieved 11 months ago. The biggest issue Eric noticed was that his son’s reading level was not where it should be, as the youngster was having difficulty distinguishing letters. “He just couldn’t get his ABC’s right,” explained the single father, who was looking to offer the parental support he did not get as a child. Things sure changed once Eric and his son were exposed to digital literacy via the San Francisco Unified School District (SFUSD) Startup:Education program. This pilot program was implemented this school year at four elementary educational institutions: Cesar Chavez, which is one of the four Mission Promise Neighborhood schools; John Muir in the Western Addition; Bret Harte in the Bayview; and Gordon Lau in Chinatown. These days, Eric’s son reads well … and often. The first-grader pores over a digital book for an hour at a time. This is something the boy wants to do. This story is echoed by that of Miriam Rivera, whose daughter is now a first-grader thriving with technology. Miriam has been empowered by Startup:Education, being given the tools required to ensure her daughter’s education is a positive experience. As part of a two-generation approach, Miriam has become more tech savvy, as before she wasn’t sure how to use her smartphone for anything other than calls. A new world has opened up for the entire clan. Startup:Education, a supporting organization of the Silicon Valley Community Foundation, was launched by Facebook founder and CEO Mark Zuckerberg and his wife, Priscilla Chan, in 2010. A year ago, Startup:Education committed $120 million to support initiatives to improve education in underserved communities in the Bay Area, for a five-year period. “Education is the most important thing — and not just within these school walls during the day. I am motivated by what I have heard,” summed up Barra. Startup:Education is part of SFUSD’s broader Family Digital Literacy: Closing the Multi-Generational Divide program, which is a scalable, pre-kindergarten to third grade literacy project; the program’s focus is on accelerating reading proficiency for students through extensive, robust family engagement and personalized learning by blending technology into the elementary literacy curriculum and in the home. This school experience is complemented by a family digital literacy program–designed by SFUSD, MEDA and the Wexford Institute — that is executed by community-based partners at the YMCA. Director, Mission Promise Neighborhood Raquel Donoso, who told the crowd of the need for parents to have the tools for family economic success so that the student can achieve, represented MPN. MEDA Executive Director Luis Granados thanked the valued partners in attendance, emphasizing the need to leverage resources and to be focused on solutions. Donoso and Granados know that Startup:Education is a huge step in the right direction and concurred that the city’s elementary students, such as Eric and Miriam’s children, are on the right path. Miguel A Gamiño Jr. provides strategic direction for San Francisco’s use of technology. He counsels Mayor Lee, the Board of Supervisors and city departments regarding opportunities to leverage technology to improve government services. Gamiño is also a successful tech entrepreneur, having launched two successful IT companies in El Paso, Texas before heading to the Bay Area. MEDA: First off, congratulations on your new position as CIO for the City and County of San Francisco. What do you see as the focus of this important role? MG: I see my job as having a two-pronged focus. As San Francisco’s CIO, I am charged with leading the strategy and advising Mayor Lee and the Board of Supervisors on the ever-evolving tech landscape and how the city should be leveraging tech to improve City services and community engagement. As the Executive Director of the Department of Technology, I have the operational responsibility to deliver on that strategy. Historically, technology has been mostly internally consumed, but we are starting to see that tech is becoming public facing, which also requires the need for greater transparency. Tech has evolved and woven into traditional civic services—a key to the delivery of such traditional services as public safety, transportation, and collecting taxes. Tech has become a consumer product, becoming the service itself. For example, #SFWiFi, our free public WiFi service, is a consumer service, not just something being supported by tech. MEDA: It is great to see a Latino in such a position of power regarding tech. This makes you a role model for the community. We appreciated your sitting on our “Latino Career Panel” at our last “Get Connected!” event. How do you see yourself putting a face on how Latinos and tech can be one? MG: There’s much talk around diversity–the tech sector suffers from that challenge. Coming from El Paso where the University of Texas El Paso was the #1 engineering school for Latinos, in some ways, I took this for granted. The divide is more apparent in San Francisco. I want to inspire Latinos, ensure there is a seat at the table for us in the tech sector, and that I live up to the responsibility for the community I represent. If you go to the consumer side of things, the Latino population is one of the fastest-growing groups in the U.S., so tech service providers would be smart to recognize that wave. I see this divide on a global level, too. I recently helped to form a City CIO’s Club in conjunction with my colleague in Barcelona, Spain. This group is worldwide, but it was interesting to sense the urgency from CIO’s in Spanish-speaking nations including Chile, Colombia and Mexico. They are action oriented and do not want their populations to be left behind. I hope to influence and motivate these countries to step up their tech game. MEDA: Our Mission Promise Neighborhood “School Climate Survey” indicated that 23 percent of students at our four target schools do not have high-speed internet in their home. When you worked in city government in Texas, you spearheaded “Digital El Paso.” Can you explain how that worked and could potentially be replicated in San Francisco? MG: It took a community effort, bringing together tech companies, City leaders, the community colleges and neighborhood influencers. This started as a digital divide project when I was still a tech entrepreneur. Once I joined the public sector, I was able to continue this work from the other side. El Paso has one of the poorest neighborhoods in the nation, called Segundo Barrio. We were able to build out WiFi in that neighborhood, educating residents on the importance of high-speed internet. We also started a project at local community colleges, whereby students learned skills as they refurbished donated computers, with these devices then being donated back to the low-income community. I learned a lot about what connectivity could do for a community, but that the connectivity had to be delivered in a way that was meaningful and approachable if you really want to impact the “Digital Divide”. I think we are doing a great job in San Francisco of staying aware of the diverse communities and focusing on delivering connectivity. We are seeing good user adoption of #SFWiFi on Market Street and the 30+ parks and recreation centers. We’re moving forward with further expansion. It is often the most popular topic I’m asked about at various industry conferences. Clearly broadband connectivity is a priority across the nation, and around the world. MEDA: Finally, what do you see as the biggest challenges as CIO? MG: There are two main challenges. The first is taking care of the underlying, yet critical, infrastructure. Balancing the need to deliver public-facing service improvements and innovations, with the less exciting foundational “plumbing” that nobody sees. It’s the newsworthy balanced with the gritty. The second challenge is managing the tug of war between the fast pace of tech and the slower pace and conservative nature of government bureaucracy. Recruiting and retaining IT talent is tough, leading city government to support responsible risk-taking of a startup culture, and implementing the right technology at the right time to make a meaningful and timely impact on City services and operations. It also takes longer for things to happen, so if I am planning for something a year out, I have to figure what the latest and greatest tech thing will be down the road and build enough flexibility into the process to adapt along the way. These challenges are difficult, but it’s all part of my job, as I work to make every facet of San Francisco life tech savvy. MEDA: Anything you would like to say to Latino community organizations? MG: I’m still relatively new to my hometown of San Francisco, and as a Latino in a tech and civic leadership role with our City, I feel a strong sense of responsibility to the community. 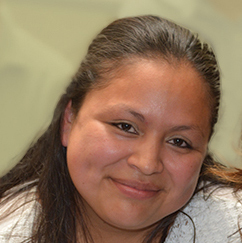 I’m eager to participate in the strong Latino community organizations, like MEDA. Consider this an open invitation to other Latino leaders to help me get engaged with our community in a meaningful way!